With the help of highly experienced professionals, we are able to bring forth the best quality Non Woven Bag Offset Printing Machine in Haryana, India. Our machine is known as 3 in 1 machine as it print all types of papers, poly bags and non-woven bags. High efficiency, sturdy construction and durability are some of the salient features of our Non Woven Bag Offset Printing Machine. Our ranges are Non Woven Bag Offset Printing Machine (EE-NOP), Non Woven Bag Offset Printing Machine (EE-OSPM) & Dry Offset Printing Machine. 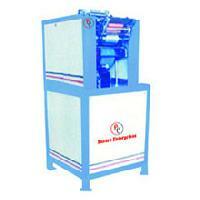 3 in 1 Machine suitable to print on Non-woven D-cut Bags, Plastic bags & Papers. 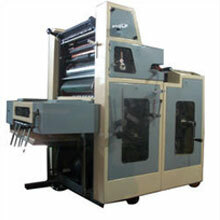 We are into Manufacturing and Exporting high quality Offset Printing Machine.This is 3 in 1 Offset Printing machine which can print on types of Papers, Nonwoven Bags and Poly Bags. 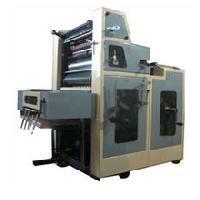 We manufacture Non Woven Offset Printing Machine.